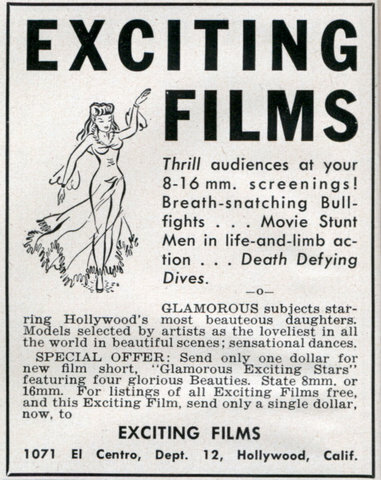 Thrill audiences at your 8-16 mm. screenings! 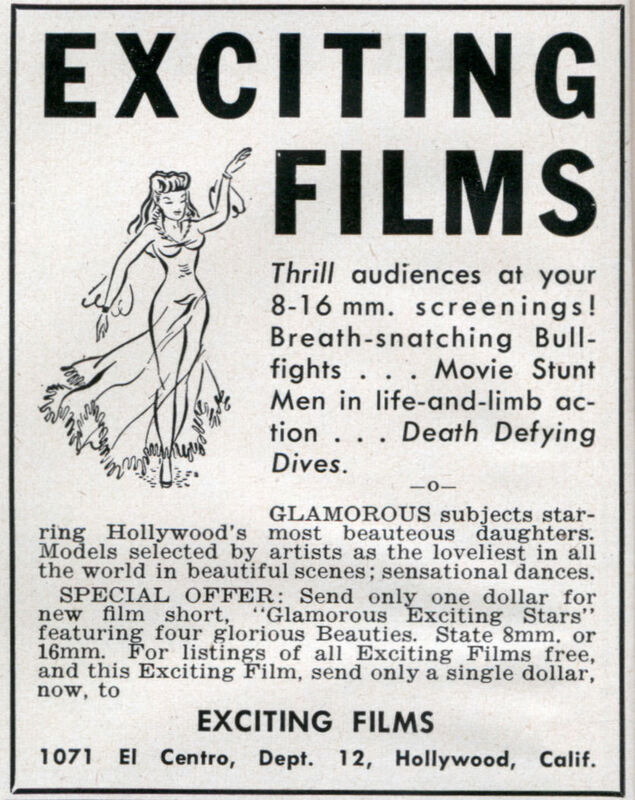 Breath-snatching Bullfights . . . Movie Stunt Men in life-and-limb action . . . Death Defying Dives. GLAMOROUS subjects starring Hollywood’s most beauteous daughters. Models selected by artists as the loveliest in all the world in beautiful scenes; sensational dances. 1071 El Centre, Dept. 12, Hollywood, Calif.